Hale does not have an offer from OSU just yet, but Baylor and Houston have already made him an offer. OSU and Texas could be next, with both landing visits from him over the last week. As a sophomore last season at Dobie, Hale was named the District Newcomer of the Year. He recorded 1,353 yards rushing at 16 touchdown playing exclusively at running back. Hale appears to be primarily a power back with elite size for a sophomore, but he’s got good enough speed to play at the next level, too. He plays a little like former Texas running back Chris Warren III, who OSU once recruited, in the way that he isn’t afraid to lower his pads and absorb contact before going down. Even if that means plowing over an official. Hale’s likely to be a spring riser with two offers already since the new year — likely in part because his sophomore highlights only dropped in late January — so he’ll be one to keep an eye on for OSU. 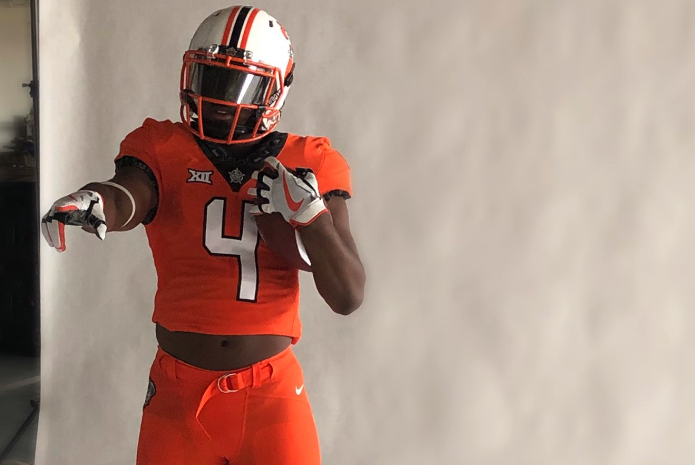 OSU already has two running back offers out in 2021 to five-star Camar Wheaton and four-star, top-60 prospect Donovan Edwards, but Hale fits the profile of a potential fall offer if the big-name targets wind up picking elsewhere. The current recruiting cycle is only in 2020 and those players cannot sign until December, so we’re a long ways away from Hale being forced into a commitment or OSU being forced to offer. Getting him on campus is a big deal, though — he made the trip from Texas to Stillwater and paid for it himself — so the shared interest is something worth monitoring as we gear up for the imminent post-spring offers surge.